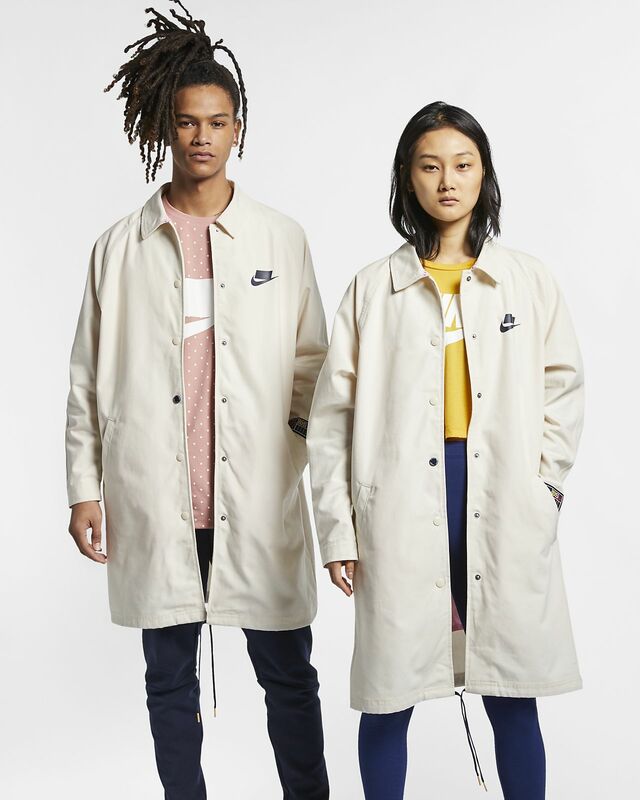 When it comes to style, the Nike Sportswear NSW Jacket is no drill. Inspired by coaches' jackets, this timeless design buttons you up in chic coverage with an extended hem and durable canvas fabric. 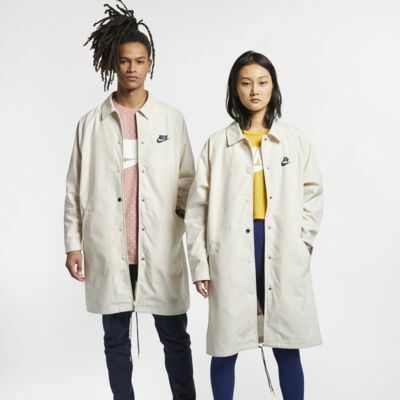 When it comes to style, the Nike Sportswear NSW Jacket is no drill. Inspired by coaches&apos; jackets, this timeless design buttons you up in chic coverage with an extended hem and durable canvas fabric. Classic coaches&apos; jacket design delivers a timeless look. Woven lining has a soft, shiny finish. Drawcord at bottom hem lets you adjust the fit. Fabric: Body: 100% cotton. Lining: 100% polyester.